The fashion brand managed to diversify and widen its range of products by looking fir experimented and trusting associates for its accessories. A first license agreement was signed with the family company Cléon to create and manufacture Redskins shoes. 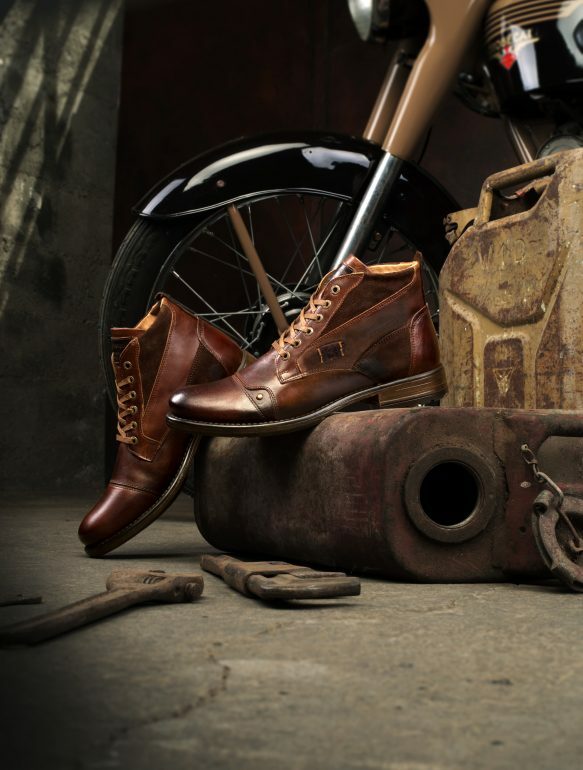 Firstly dedicated to men’s dress shoes and leather boots, Redskins footwear considerably expanded, supplemented by woman and junior ranges, and succeeded in getting a strong brand identity with sportwear and trendy shoes. National and international celebrities regularly endorse the brand, like the actor David Duchovny, the DJ Steve Aoki or the actor and model Shemar Moore. 2016 © CLEON SAS. All rights reserved own brands and licenses.